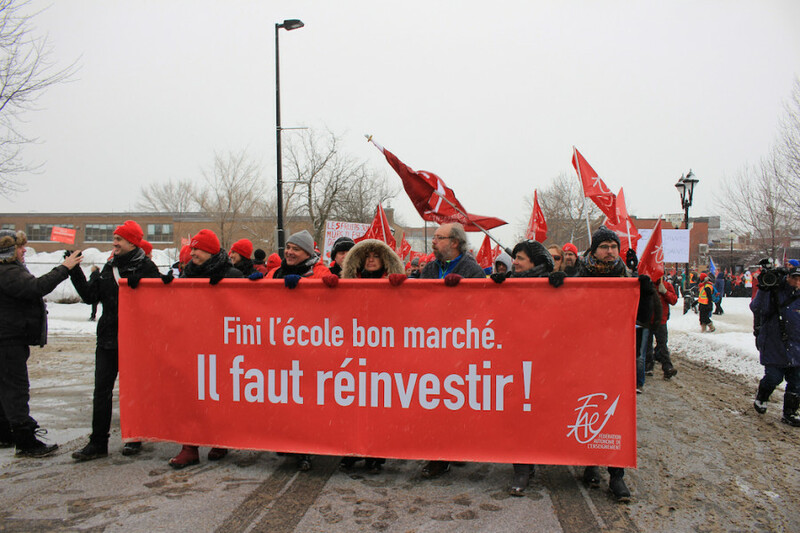 About 1,000 teachers, parents and children took part in an afternoon march against austerity Saturday in Montreal’s Hochelaga-Maisonneuve borough. The event was organized by the Fédération autonome de l’enseignement (FAE), a group which represents 34,000 francophone public school teachers. 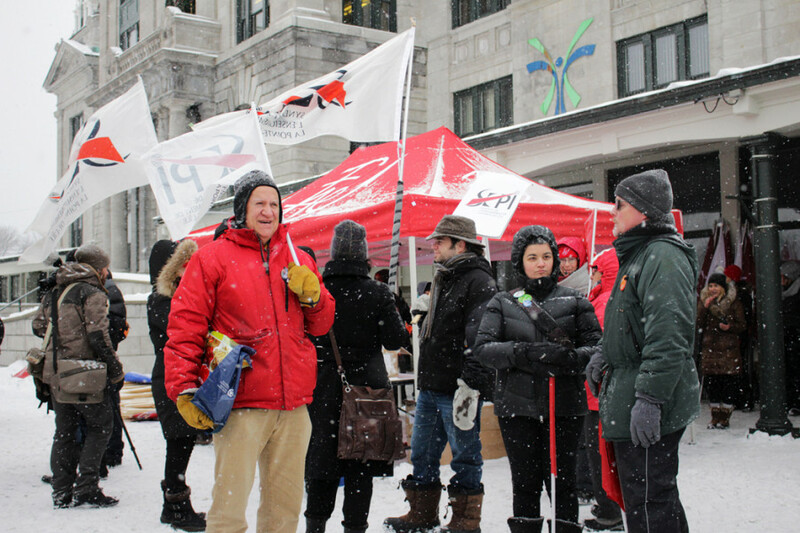 The FAE has yet to sign an agreement with Quebec’s Liberal government over salary increases and classroom resources, and Saturday’s protest was a call for “a massive reinvestment in public schools,” according to an FAE press release. 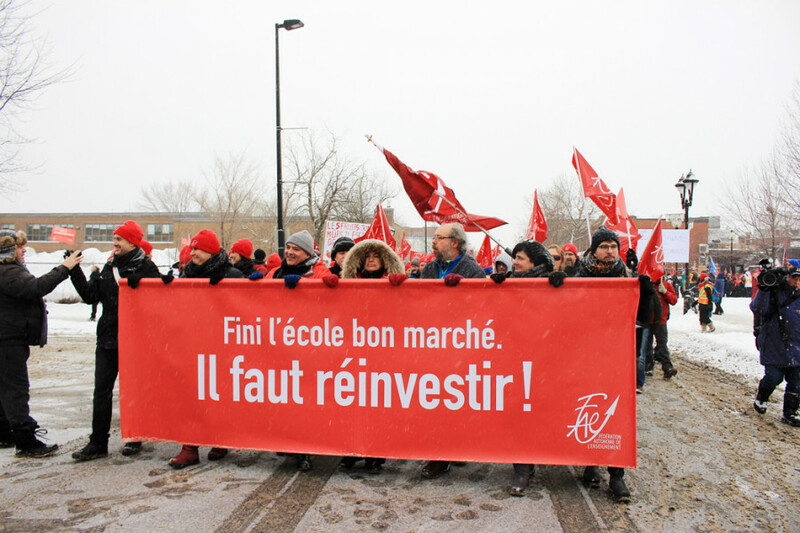 The event came one day after education minister François Blais was surrounded by protesting FAE members during a visit to the Saint-Jean de Matha elementary school in Montreal. The group has been highly critical of the Liberal government’s austerity measures and has accused premier Philippe Couillard of pillaging Quebec’s public education system. Protesters gathered at the Marché Maisonneuve around 1 p.m on Saturday, with many carrying union flags and signs denouncing Premier Philippe Couillard and Blais. A group of drummers got the crowd warmed up and dancing as a small contingent of police officers stood watch. The group of FAE supporters marched for roughly 90 minutes along a predetermined path, which had been provided to police in advance. A handful of Montreal police squad cars followed the path of the march, and the event unfolded without incident. 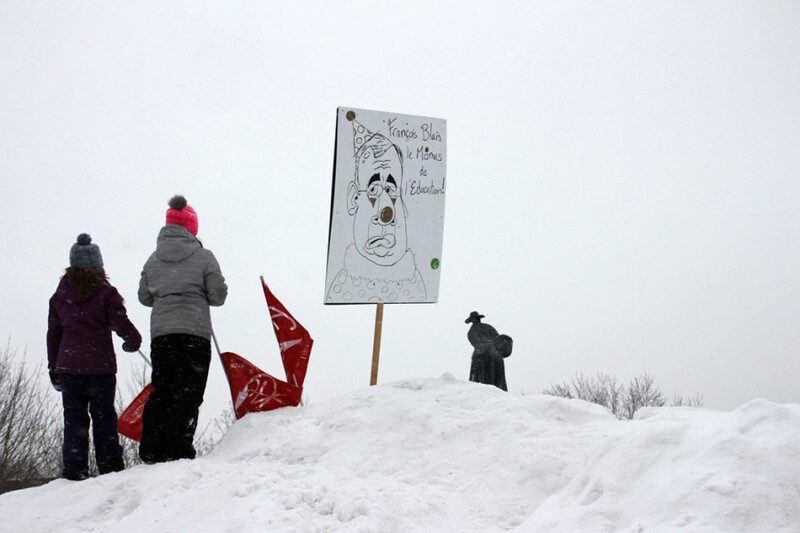 As their negotiations with the government resume in the new year, the teachers’ group plans to hold public events at least once every two weeks to remain visible and carry their message forward, according to FAE spokesperson Alain Marois.